A programme where women prisoners read and record stories for their children and grandchildren and a Christchurch prison leading the way in its use of the arts as a rehabilitative tool, have been acknowledged at the 2017 Arts Access Awards. The annual Arts Access Awards were held at the Banquet Hall of Parliament on Tuesday 4 July. The awards celebrate the achievement of individuals and organisations providing opportunities for people with limited access to engage with the arts as artists and audience members. Ray Smith, Department of Corrections Chief Executive, has attended the Arts Access Awards for the past five years and is pleased that art as a rehabilitative tool is being recognised. The Bedtime Stories Programme at Arohata Prison in Wellington received the Arts Access Corrections Community Award 2017, presented by Hon Louise Upston, Minister of Corrections. The programme involves the women reading aloud from story books, donated by Cleanslate Press, which are then recorded on to a CD and sent to the children. This means children around the country can hear the voice of their absent female relative as often as they want to. Started by theatre practitioner Miranda Harcourt in 2014, Victoria University lecturer Kerryn Palmer facilitated a group with actor/lecturer Perry Piercy, social worker Liz Langham and sound technicians Ryan Knighton and Tony Black to create a monthly programme at Arohata Prison. Each month, the women get to choose a new book and the team coaches them throughout the reading of the story. The women practise their storytelling and reading skills, and the hope is that it will encourage them to read more with their children when they are released. The judging panel said the programme was an example of a practical community partnership that can change lives and be implemented in any prison environment. “It’s about literacy, communication, creativity and performance. Above all, it’s about its positive impact on both the women and the children – demonstrated in the feedback provided,” said Richard Benge, Executive Director Arts Access Aotearoa and member of the judging panel. Christchurch Men’s Prison received the Arts Access Corrections Leadership Award 2017, presented by Ray Smith, Department of Corrections Chief Executive. The award recognises its commitment to arts education and artistic expression as a therapeutic, rehabilitative and re-integrative tool across the prison. Its Youth Unit accommodates young male offenders between the ages of 17 and 20. Many of these young men have missed out on access to school and community arts education programmes. The focus of the arts in this unit has resulted in a wide range of new opportunities and community partnerships in visual arts, music, drama and kapa haka. Staff have observed a marked improvement in the men’s motivation, engagement and communication, respect for themselves and others, as well as pride and joy in their achievements. Men involved in the arts across the prison learn a range of skills (e.g. problem solving, leadership, team work, adaptability) that support their rehabilitation and reintegration and add value to the prison environment. For some, their new-found skills offer a future means of supporting themselves. Write Where You Are, Wellington, Arts Access Corrections Community Award 2017, for providing a voice for prisoners at Arohata Prison and Rimutaka Prison, enabling them to express themselves, and gain confidence, literacy and communication skills. 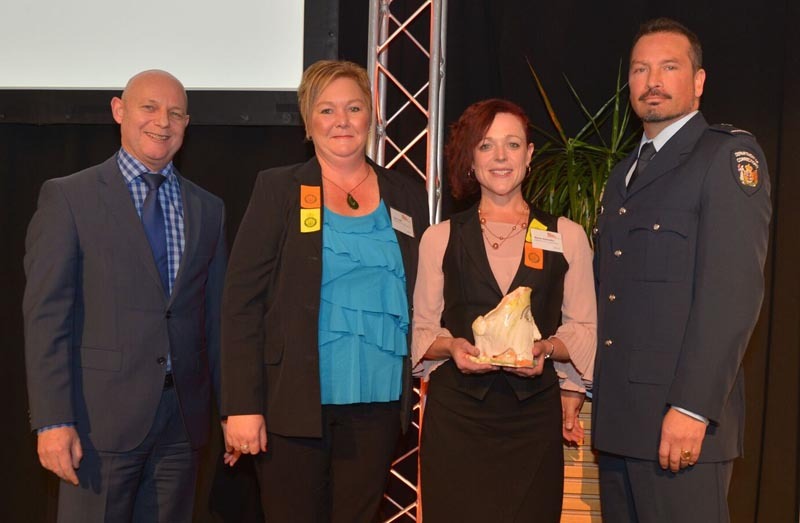 Whānau Manaaki, Hawke’s Bay, Arts Access Corrections Community Award 2017, for delivering tikanga Māori to prisoners in Hawkes Bay Regional Prison. This includes kapa haka, waiata, mau rakau and karakia – all enhancing the men’s identity, wairua, mana and confidence. Original generation time 1.5216 seconds. Cache Loaded in: 0.0360 seconds.